The creator community isn’t just big, it’s STRONG. Think of it this way: more than a thousand creators cross the 1,000 subscribers mark every single day. Crazy, right? And while each of you is driving your own success, we do our best at YouTube to support and celebrate your talent and self-expression with new tools, support options, workshops, production access at the Spaces, in-person events, Play Button awards, and the list goes on. Expanded one-on-one support: We’ve increased our creator support by 100x so that every creator who has joined the Partner Program can get answers via email from a real person here at YouTube. You’ve got questions? Now you can get answers faster and more easily. Redesigned Creator Hub: The Creator Hub is the one place where you can discover all the programs and creator resources YouTube has to offer. Available in 23 languages, it’s also the best place to learn all the ways you can connect with the creator community while taking advantage of tools and benefits designed to keep your channel (or channels) growing. YouTube for Creators: As part of the Creator Hub we’re launching YouTube for Creators, a new multi-level benefits program that gets you the benefits you need to grow your channel when you need them. In addition to celebrating subscriber milestones with our Creator Awards program, we’ll now offer new levels of benefits at 0, 1,000 and 10,000 subscribers. Take a quick look at the video below to see what you’ll unlock as your subscriber number grows. Today at VidCon we also announced a number of updates, all designed to make life for you and your subscribers easier and more fun. Comment controls: earlier this month we’ve launched a new comment control that lets you delegate moderation, giving people you trust the ability manage your comments. This will help keep your community constructive and friendly. Content ID support and changes to account penalties: We have an update on the improvements to Content ID we announced back in April. We told you then that we’ve been developing a new solution that will allow videos to earn revenue while a Content ID claim is being disputed. We’re now doing live tests and expect to launch to 100 percent of partners in the coming months. We’ve also observed - as have many of you - that a “strike” isn’t always the best indication of an abusive channel. For example, a new creator might inadvertently get a strike because they are still learning the rules of engagement for YouTube. In fact, most channels that get a strike will never get another one. The “one size fits all” approach - where all users are handled in the same way as bad actors - is not the most effective way to handle these issues. That’s why soon we’ll be adjusting how penalties are applied when a creator receives a strike on their account. You can follow progress here. Finally, we’ll be talking a whole lot more about creator and viewer communities during the Creator track keynote speech at VidCon. Mark your calendar for Saturday at 3pm and tune into the live stream here. Sebastien Missoffe, VP, YouTube Operations, recently watched "VidCon Live Day 1." 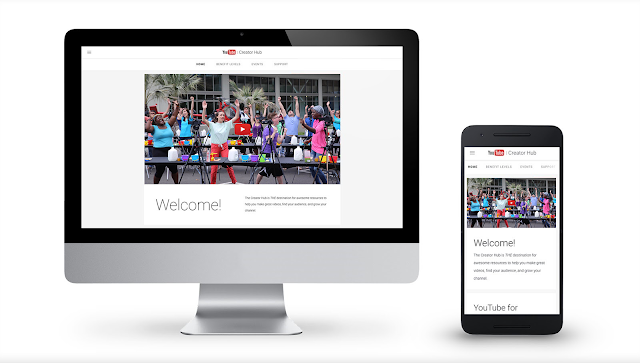 VidCon, the world’s biggest celebration of online video and digital culture, officially kicked off today, and we’re announcing a few updates specifically designed for creators like you. Read on, because being a YouTube creator is about to get even better!